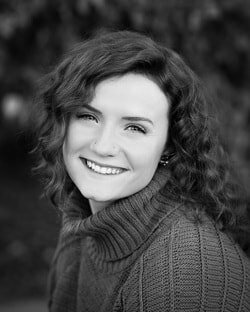 Sarah Aezer began her dance career at a very young age and has studied and performed extensively in many different styles of dance, as well as tumbling and acting. Some of Sarah’s dance career highlights include performing and touring with Ballet West as Clara in their production of The Nutcracker, acting in Disney Channel’s Original Movie “High School Musical” and performing as a featured dancer in Disney Channel’s “High School Musical 2”. She has worked with numerous choreographers, including shooting a music video "Army Of Kings," choreographed by Mandy Moore. Sarah just completed her 9th season as a company member of Odyssey Dance Theatre and has completed eight European tours, a tour in Turkey, performed at the Alvin Ailey Theater in New York City, toured to Beijing, China to perform at Dance Festival Beijing 2008. She was recently a finalist on Nigel Lythgoe's Ovation television series, “A Chance to Dance," and was honored to perform on the SYTYCD season 9 tour. Sarah was a featured dancer in Glen Beck's "Man In The Moon" show, and has now completed two seasons with the Detroit based company, Rapture Dance Project. Sarah loves sharing the art of dance and cannot wait to see where her dance career takes her next.